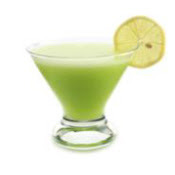 Here is another great refreshing cocktail recipe by the great folks over at Voga Italia. I think this is a great cocktail to serve at all of your summer and holiday parties and events. Directions: In a shaker, combine ice, vodka and lime juice. Stir gently and strain into a chilled rocks glass. Top with VOGA Sparkling and garnish with lemon or lime slice. Disclaimer: You must be 21 years of age or older to consume alcoholic beverages. These recipes are not for minors under the age of 21.